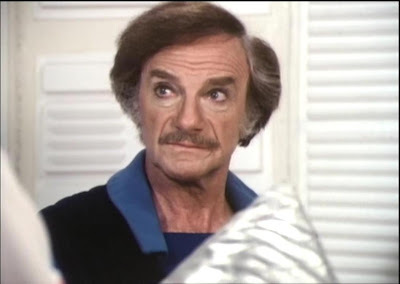 A mainstay of the 1960s and 1970s, the late Jonathan Harris headlined in several popular cult-TV series over the years, both as heroes and as scoundrels. 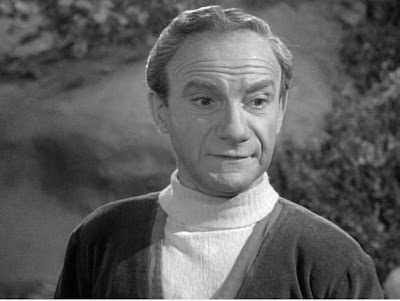 How many of the many cult-tv faces of Jonathan Harris do you recognize? 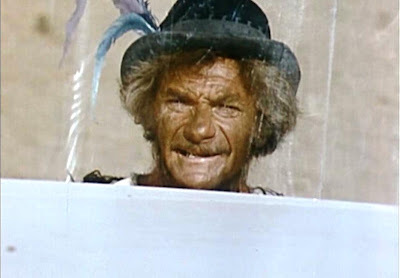 If you can, name the series, character, and episode (though that's harder this week...). I feel like I should know #4 and #5, but my brain isn't cooperating. #1 I have no idea. You got # 2 and 3 absolutely right. Congrats on guessing Ark II correctly...I'm impressed!!!! ...but have no idea about the episode or character names. You got # 1 (The Twilight Zone) and # 5 (Battlestar Galacitca). But #4 is not Buck Rogers. I believe #4 is Space Academy. Tim - you got it! Space Academy is indeed # 4. Nicely done. 1. 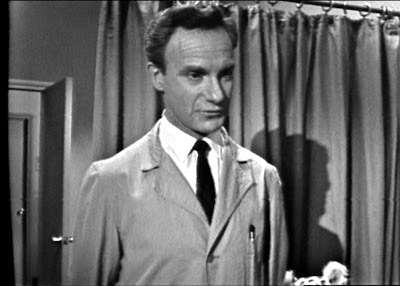 Twilight Zone: "Twenty Two"
2. 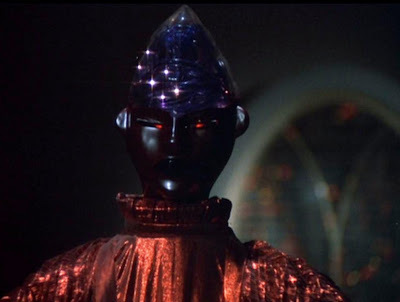 Lost in Space: "The Space Croppers"
3. Ark II: "The Drought"
4. Space Academy: "Life Begins at 300"
5. Battlestar Galactica: "Gun on Ice Planet Zero Part 2. That's a very good way of putting it, I think. In every one of his roles, you saw that glint in his eye, that devilish (but charming) side. Being a fan of WWII movies, as a kid I really enjoyed the "Gun on Ice Planet Zero" episode of BSG with its 'Guns of Navarone' meets 'The Dirty Dozen' plot line.